The Platelets journal recently ran their annual cover image competition which will feature on the cover of the journal for the whole of 2019. 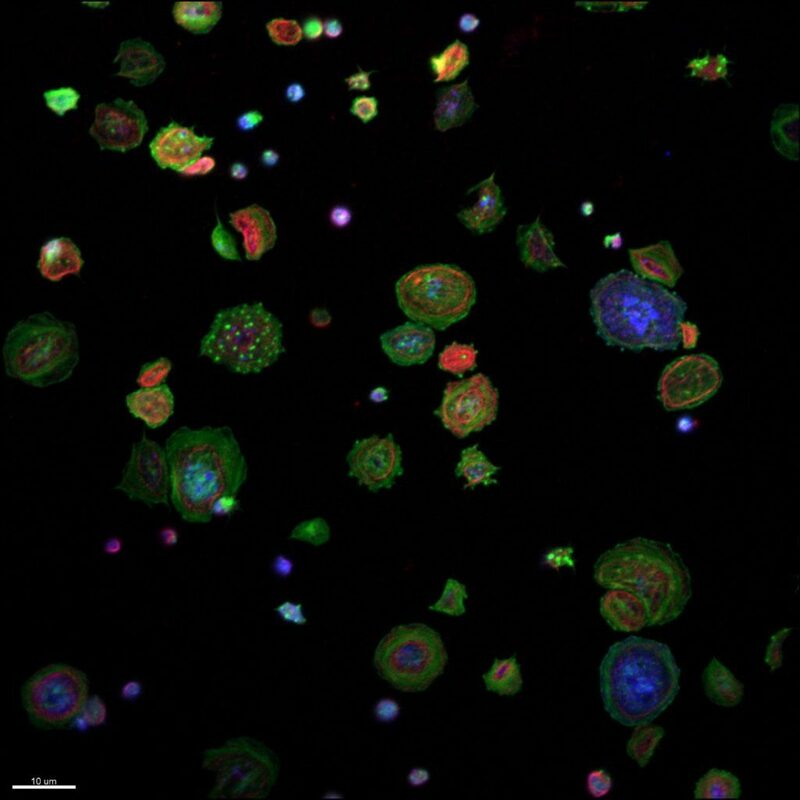 Several Platelet Society members entered stunning images, but the final winners were Nathan Eaton and Hervé Falet from the Blood Research Institute (Wisconsin) for their stunning image “Platelet Fireworks”, showing Dnm2-null platelets on a fibrinogen surface after GPVI activation. Well done to Nathan and Hervé. Look out for the call to enter in 2019!